The long-standing experience of WIKA in the area of serial bus systems, and also with digital pressure transmitters has been incorporated into this instrument. The model MHC-1 combines outstanding temperature characteristics, excellent accuracy specifications and an instrument concept that has been designed for the severe operating conditions of mobile applications. A special qualification test programme simulated these high requirements. 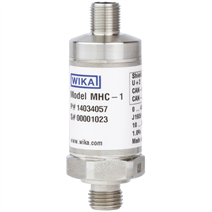 This pressure transmitter has been specifically developed in order that the typical protocols for mobile hydraulics can be offered in a single instrument. 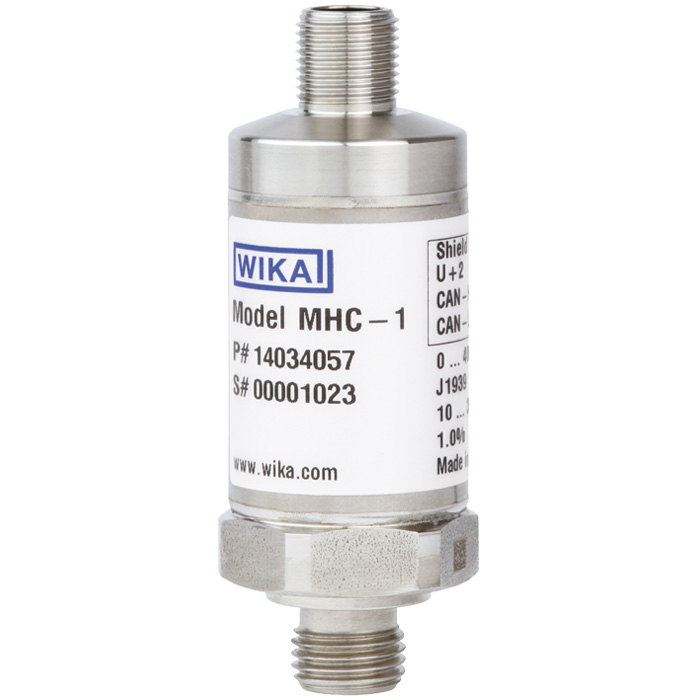 The model MHC-1 is available with either CANopen® or J1939 protocol. It is possible to order these instruments preconfigured so that they can be installed without further effort. In addition, a version with an integrated input and output connector (Y-connector) offers a very easy and secure installation. Both connector variants of the pressure transmitter have been qualified with an IP 6K9K ingress protection.